Astonishing black self print shirt 100% cotton. Inside trim of white dots on grey color contrast with the black shirt color, slim fit, a front button fastening, full sleeves, Ideal for formal occasions, easy to iron. 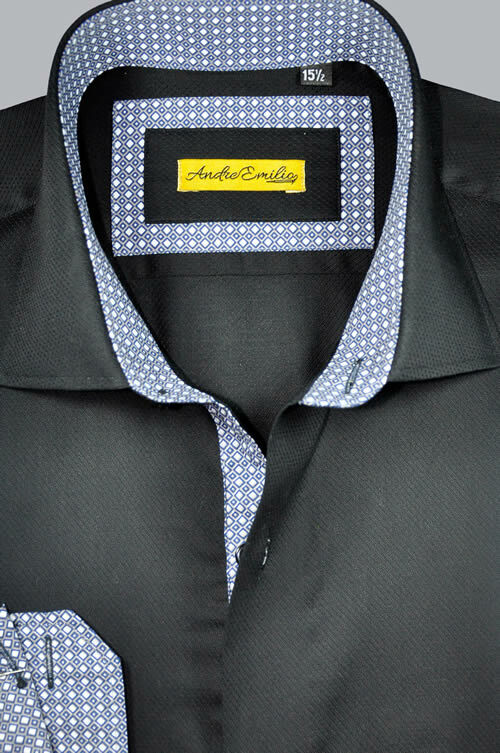 Buy here Andre Emilio Mens Shirts. Next Next post: Andre Emilio Launches Its New Men’s Shirt Collection!